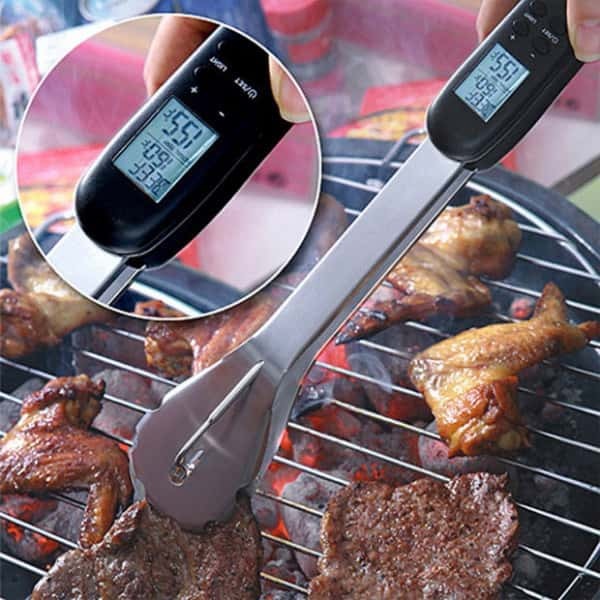 Digital Thermometer BBQ Tongs are perfect for monitering the heat of your food on the BBQ. This is particularly useful to ensure that your meat is cooked to perfection. Ensuring that meat reaches recommended cooking temperatures during cooking is important. Failing to do so can cause food poisoning and leave harmful germs in your food. The temperature varies depending on what type of meat you are cooking. Here is a quick reference list of recommended temperatures for a variety of meat . You will notice that resting time is also important for some varieties. When you are cooking in the kitchen it is easy to control the temperature. BBQ's can be less consistant. Especially if your BBQ is woodfired or doesn't have good temperature dials. Many BBQs tend to have dials that indicate low, medium and high temperatures. This is useful to a point, but when you want to be sure it's good to know the actual temperature. 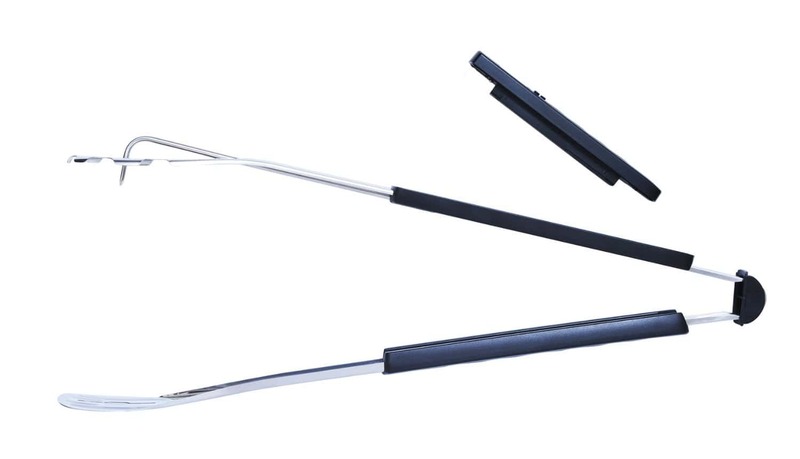 That is where the Digital Thermometer BBQ Tongs are useful!